Formula 1: A Sport Of Glamour, Heroism And Mind Games! Formula 1 has witnessed so many iconic figures that have come and gone over the past half century. They’re mainly known for some of their heroic drives, act of humility, arrogance, national pride, and sometimes even for their tragic death on the track. Some find themselves known for their notorious behaviour or act of unsportsmanship, and it isn’t that all of this goes unnoticed by FIA or the crowd. It’s just that there is this common unspoken agreement among all of us that be it a dirty trick or harsh war of words, the rivalry between drivers before and on the race gets a hell lot more interesting than the usual Romain Grosjean crashing into at least three drivers at the first turn of every race and frustrating drivers around him. “If he (Alonso) says he is fighting with blunt weapons, then I think he really is whining on a very high level,” insisted Marko. I bring light on to this subject because I happen to notice a certain unrest between Ferrari and Red Bull as I was looking back on 2012 season. Back in the heat of this season, Fernando Alonso happened to mention that Ferrari aren’t fighting just Vettel but Adrian Newey too. 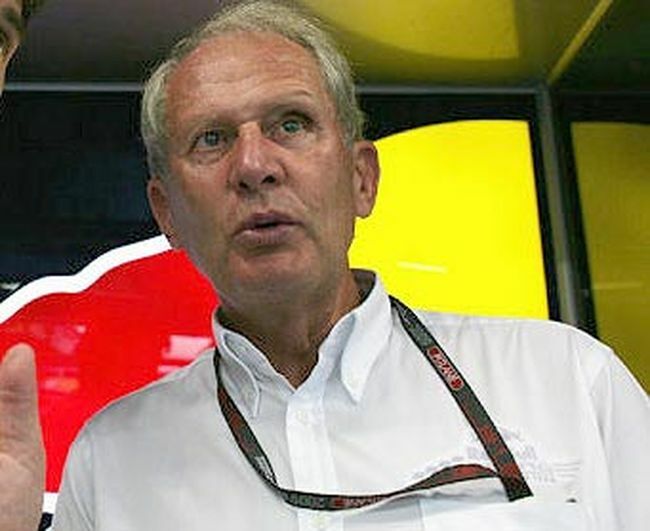 A bold statement which could be argued upon but whether his intentions were to praise Newey’s technical brilliance and overall Red Bull’s understanding and translation of the F1 rule book OR to make Vettel conscious of his driving abilities and his fighting spirit if he ever starts from below the front two grids, no one knows. Lewis Hamilton picks up the baton from there and supports Alonso in the press conference at the Indian Grand Prix that ‘Nando is the more “deserving” contender for the championship and that Vettel is “lucky” to have a good car for 3 seasons back to back. Now that certainly would dent Vettel’s confidence. But is it fair for both these drivers to complain and taunt Vettel, all in the desperate attempt to cause his downfall? After doing some background research, I can safely say that the above controversy isn’t new in its least sense. All year, every year there are such stark examples, some that stand out. Juan Manuel Fangio once was introduced to a very sensuous French actress on qualifying day at Monaco. On the previous night of the race, he got an envelope with her room number and key of the hotel room she was waiting for him. Fangio, a hardworking man knew that someone was trying to sabotage his race the next day by giving him little or no rest and hence rejected the offer. The next day, Fangio went on to win the race and the distress on the French actress’ face was evident when he took lead. As expected, Brundle threw himself away when Dale pounced on him on the first corner from nowhere and he finished 10th. 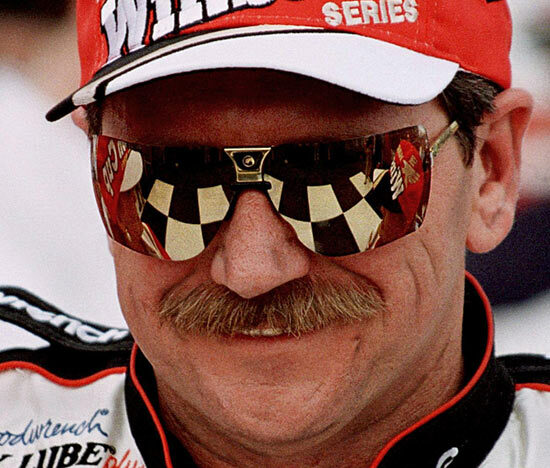 Earnhardt went on to win the race and the championship. Brundle finally learnt that Dale Earnhardt was indeed given an appropriate nickname. On the other hand, the immortal great Sir Stirling Moss was a subtle bluffmaster. He mentions in his biography that at times when rain was expected before a Grand Prix, He’d rub his hands in anticipation making drivers feel that he called for this and was waiting for it. But truth was, he dreaded the downpour as much as any other driver did on a given rainy day. On sunny days Sir Moss would have another trick up his sleeve. In 1961 Monaco GP, he goes at the back of Phil Hill’s car and just shakes his head in shame. “Old Phil was always a bit edgy before the start, and I thought it might wind him up a bit”, he laughs. He’d call this a psychological advantage and he understood and knew the other drivers better than anybody else on the grid. If all the drivers were to ever play a game of poker, I’d suspect Stirling Moss would win. The most famous incident easy to recall would be that rift between Ayrton Senna and Michael Schumacher in 1992 French Grand Prix. As schumi takes down Senna on the first hairpin at the Adelaide turn, Senna retires while Michael has only a front wing damage and continues the race. But on the 11th lap as the race is red flagged, Senna grabs a word or three with Schumi teaching him a lesson about how wrong his manoeuvre was on him. His clever tactic worked on him and on the 20th lap, Schumacher collides with Stefano Modena on the very same hairpin and retires from the race too. Nigel Roebuck’s research on this did inspire my interest and it astounds me to know the lengths to which some drivers can go just to get on the right step of the podium. The more I read the more I understand that this teeth grinding rivalry through treachery and deceit between racecar drivers is diminishing. At the risk of sounding sadistic, it fills me with sorrow to realize that fact. So Vettel if you’re reading this, grow a moustache like Keke and fight back. Bring back the old dog fights!